Pure HMV rewards members say they are disappointed after learning all of the points they've collected over the years became worthless when the entertainment retailer went into receivership. 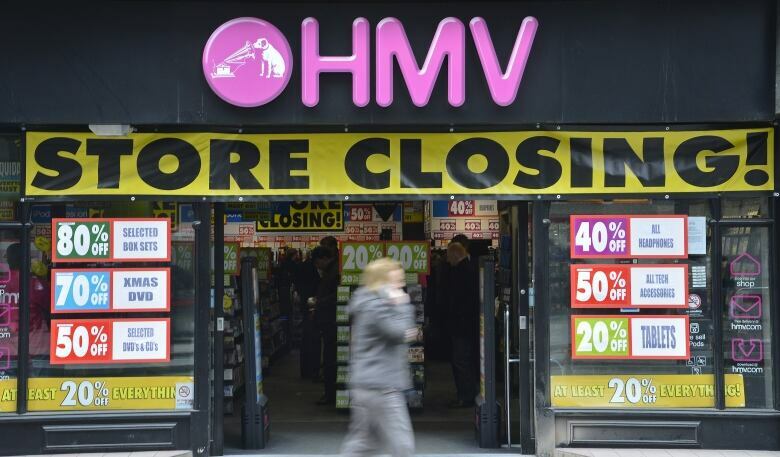 HMV will be shutting down its Canadian stores at the end of April. When Joshua Jamieson learned last week that HMV Canada was closing down, he went to scope out the state of his beloved music retail store. Stationed near the entrance of the St. John's location was a big neon-orange sign, declaring that HMV was no longer awarding points on purchases under its Pure loyalty program. Jamieson could accept that, he decided, considering the struggling chain is broke and has gone into receivership in Canada. But he found it hard to accept what he learned next from a store employee: all unused points collected by program members are now completely worthless. In other words, the entire Pure program has been completely disbanded. "It's unfair," says Jamieson. "They're sort of exploiting their loyal customer base as they're going out of business in a really unstylish way." Over the last two and a half years, Jamieson had diligently collected 325,580 points. He estimates that equals about $60 in savings if he were able to use them toward purchases like CDs or DVDs. 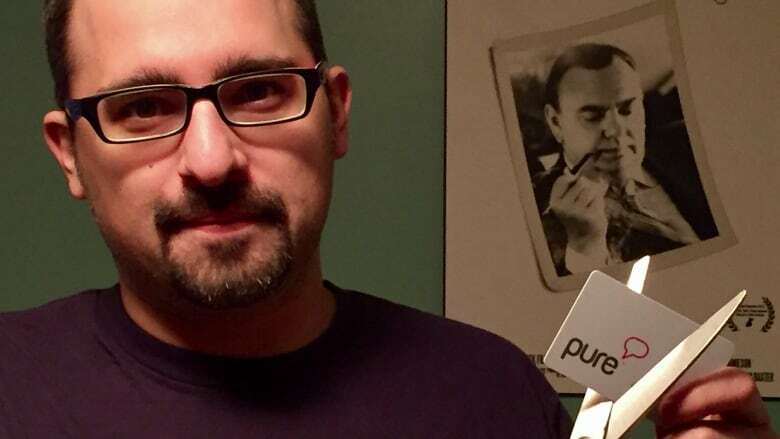 When he tried to find out more about the death of the program, all Jamieson could dig up was a notice on Pure HMV's website that states "all functionality for the Pure rewards program has been disabled." CBC News requested comment from HMV Canada on the issue but did not hear back in time for publication. 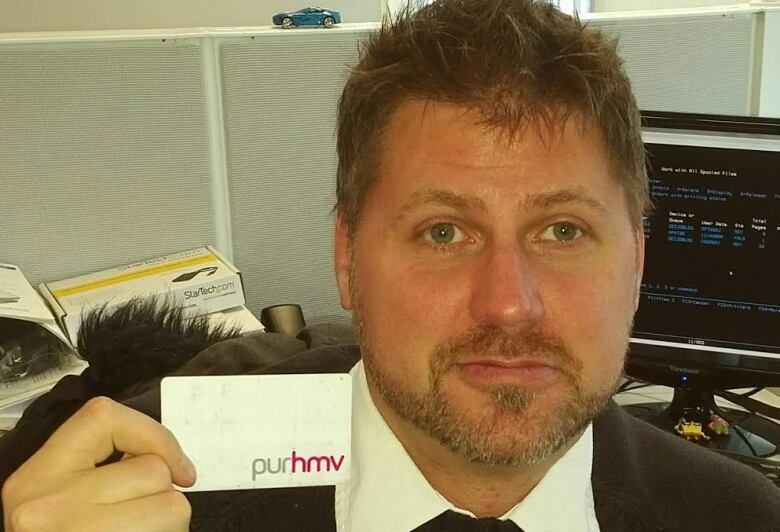 A loyal HMV customer since 2002, Jamieson says losing all his points — and finding out in such a haphazard way — has left him with a bad impression. "It's a pity that a store that I was so madly in love with for so many years is going to go out with a really sort of distasteful last opinion," he says. Pure program collectors earned 100 points for every dollar spent in the store; a membership costs $3 a year. Jamieson says he had just renewed his membership in October and has heard from other disgruntled members who renewed theirs as late as December, with no inkling of trouble ahead. "They just shut everything down, and didn't tell people, and quite literally pulled the rug out from underneath people's feet." The move has upset many Pure members across Canada. In Montreal, Damion Rowan had piled up about 278,000 points since the HMV rewards program began in 2010. He was hoping to splurge on something special, like a box set. "After being loyal for so long, I'm a little hurt," says Rowan. "I was collecting points for five years, diligently waiting for that moment that never came." HMV operates 102 stores in Canada, all of which are set to close by April 30. According to court documents, the company was losing $100,000 a day as more customers opted to buy music and videos online rather than in stores. Bankruptcy expert Jonathan Ordon says while it's unfortunate that loyal HMV customers have lost their points, the flailing retail chain can't be blamed for the situation. "They don't have the cash to cover it," says Ordon, the president of Toronto-based liquidators Danbury Global. When a company goes into receivership, Ordon explains that numerous creditors often line up, expecting some kind of compensation. While Pure members are included on that list, they are low-priority and will probably never see a dime. "There is a long list of creditors in front of these customers," Ordon says. They include retail-space landlords and secured creditors who have lent the company big money to run its business. "They're out millions of dollars," says Ordon. Rowan says he understands HMV's tough situation. But he believes the company should have done something for its collectors, such as giving them 24 hours notice before the points became worthless. "They just disappeared with no apologies, no warning, no nothing," he says. If collectors had been allowed to redeem their points, Jamieson believes HMV probably would have pulled in more money for its creditors. That's because loyal customers like him would rack up purchases during HMV's liquidation sale. But now that his points are pointless, Jamieson has no desire to shop at the store during its final days. "No matter how low the prices go, I don't want to spend another cent there."